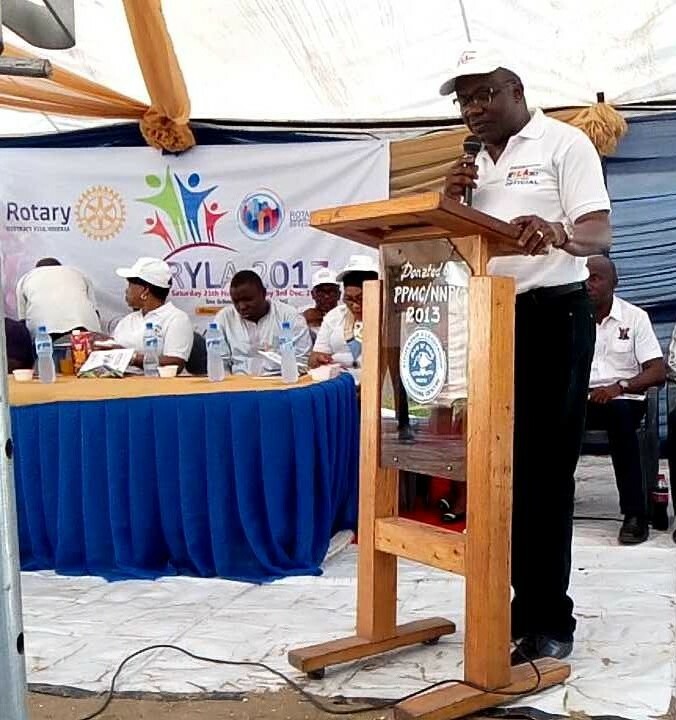 Rotarian Dr. Wale Ogunbadejo, the District Governor, Rotary International, District 9110, Nigeria, has encouraged Rotary Youth Leadership Awards (RYLA) 2017 participants to make good use of the opportunity to prepare themselves for the future. He stated this in his address at the opening ceremony of the RYLA 2017 which was held on Sunday, November 26, 2017. 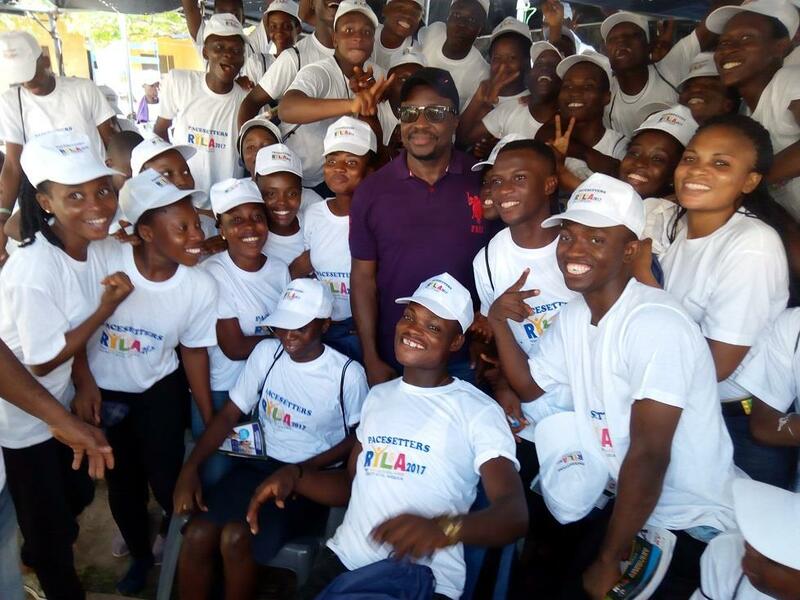 The Governor, who attended the event alongside his wife, Rotary Ann Funmi Ogunbadejo and other district leaders urged the participants not to see the programme as a joke. According to DG Ogunbadejo, “To my beautiful and handsome Rylarians, I wish you all the best as you commence this journey to self discovery. Please, use this opportunity very well. Don’t take it as a joke please. It can be a life changer for some of you”. The Governor explained the purpose of the programme saying, “Why are we investing so much in this programme? These ones seated here are our future leaders and it is in our own interest to look after these future leaders. These are the ones who will take decisions in future that will impact positively or negatively on our lives. We would then be helpless to do anything about it. “Our country, Nigeria in particular, suffers from the dearth of committed selfless leadership. We need a complete orientation in our leaders and we hope that by this, we will help to teach our youths, the right concept of leadership and also to build a better future for our country”. Underscoring the activities the participants will engage in during the programme, he said, “the most physically tasking of all will be the trek to Tarkwa Bay, that’s about a 20km walk to and fro and some of you will do things that might seemed impossible to you. It is therefore going to boost your inner strength. You will however experience this if you participate in all the activities. “If you keep hiding behind others, you will be short-changing yourself. It’s only in participation that benefits will come. No matter how hard, play your part and learn from the experience. You also never know what fate will take to your path in future so make use of the opportunities and learn”. Speaking further, the DG said, “These exercises will improve your self confidence, your self esteem and as I said earlier, bring out the real you. Only when a man understands himself can he progress in life. You must know yourself so that others won’t keep dictating your path for you. You must also make as many friends as you can because you never know where you will meet yourselves in future. “However, especially for the younger ones, do not allow yourselves to be bullied, lured or tempted into any wrong act which you may regret later. Let the older ones look after the younger ones and mentor them too with the right principles and actions. “Your safety is the highest priority for us. We have had previous editions without any mishap. We know that this is the biggest so far but we are not expecting any mishap but you all must listen to our instructions and do all you are asked to do. You will never be asked to do anything that is dangerous to your health and safety”, he added. Also present at the opening ceremony was Mr. Mustapha Oludare, the Sea School Cordinator, a representative of Honourable Ramotallahi Olanrewaju Akinola-Hassan the Chairperson, Oriade Local Council Development Area. 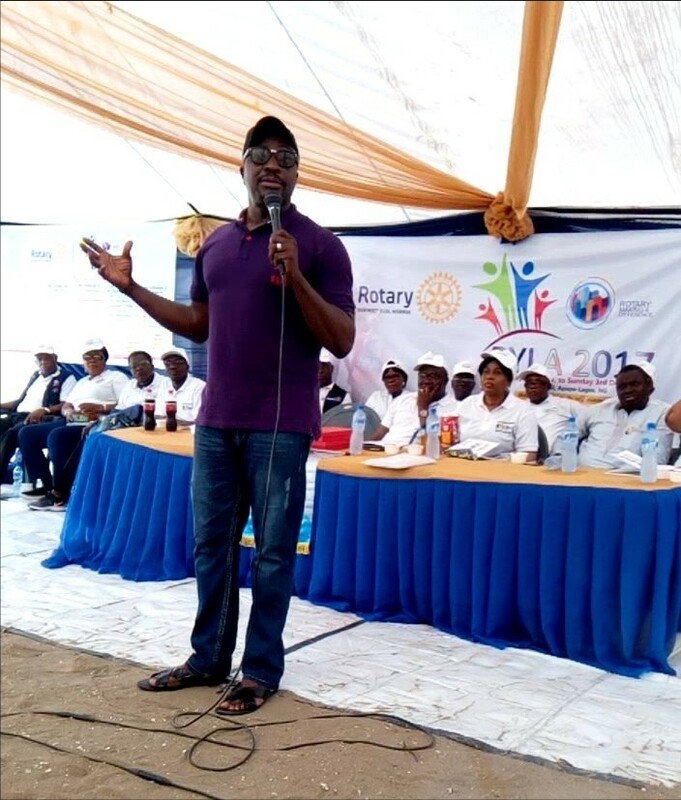 Comedian Alibaba was also present at the opening ceremony where he motivated the participants with his success story.